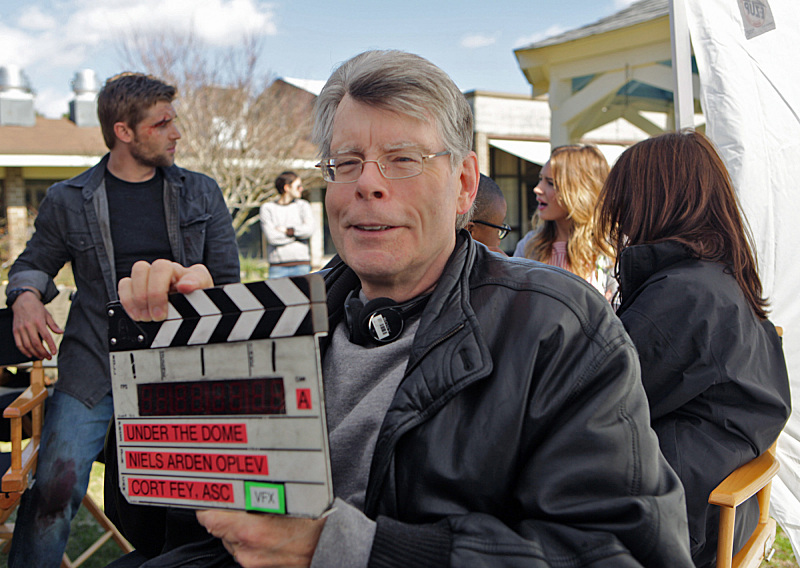 HERE are 10 things to know about the Stephen King Adaptation of Under The Dome, which hails from Lost’s Brian K. Vaughan and ER’s Neal Baer. 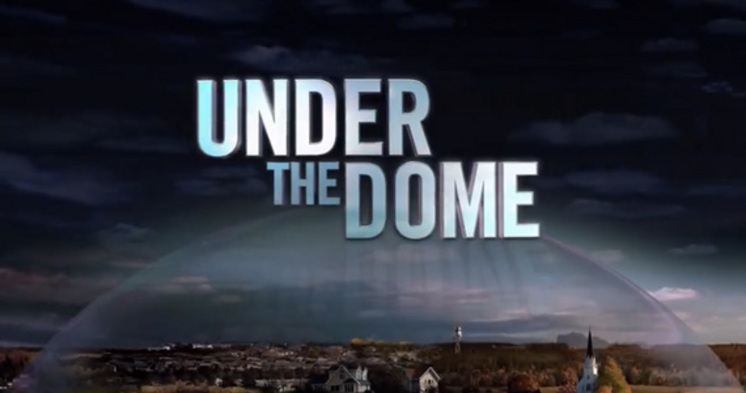 Under the Dome premieres at 10 p.m. on Monday, June 24, on CBS. 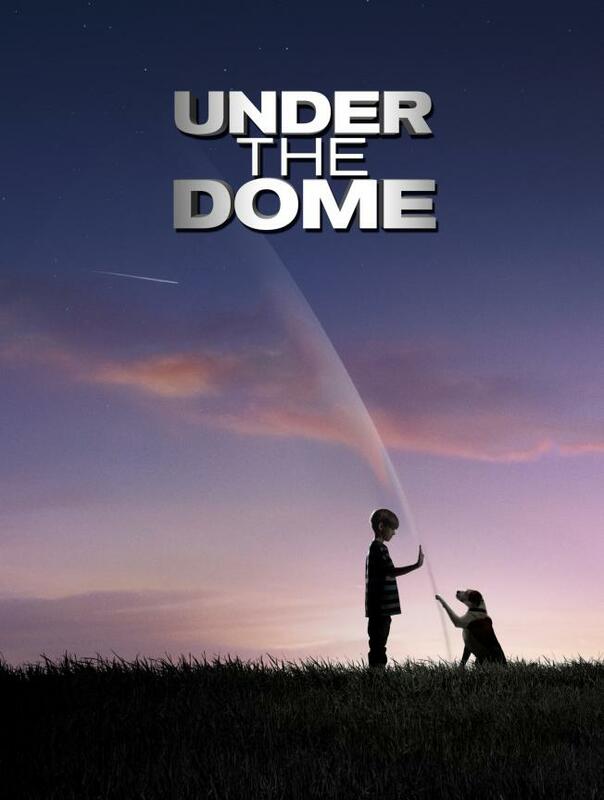 Watch an exclusive clip of Under the Dome based on Stephen King’s bestselling novel about a small town that is suddenly and inexplicably sealed off from the rest of the world by a massive transparent dome. Premieres Monday, June 24 on CBS. Producers from CBS’s upcoming summer series Under the Dome, based on the novel by Stephen King, took to the WonderCon stage Saturday night to give the crowd a taste of what to expect from the series, starring Mike Vogel, Dean Norris, and Rachelle Lefevre. On the show, premiering June 24th, a small New England town is inexplicably cut off from the rest of the world by an enormous transparent dome, leaving the town to deal with both the larger implications of their new predicament (dwindling resources, how the heck it got there) and smaller, character-based conflicts (lovers are split, personalities clash). But there’s much more to it all. Check out 5 highlights from the panel, which included Norris, Lefevre, and executive producers Neal Baer (ER, Law & Order: SVU), Jack Bender (Lost, Alias) and Brian K. Vaughan, who also acts as showrunner for the series. 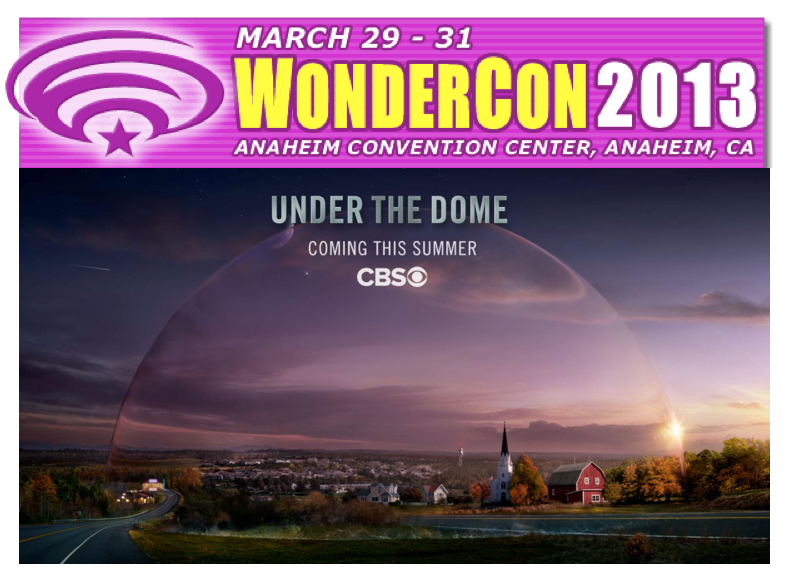 HERE is Entertainment Weekly’s write-up of the WonderCon Under The Dome on CBS Event. There will be Q&A discussion panel as well as a giveaway of an exclusive video clip from the pilot episode. 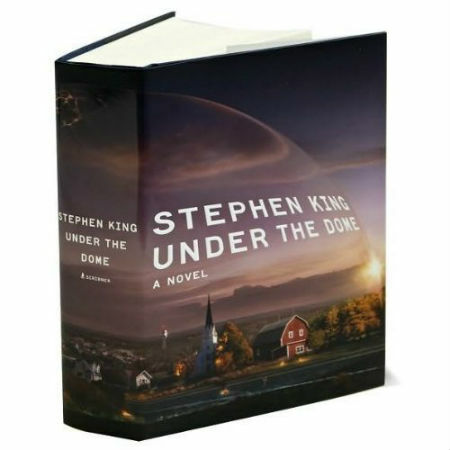 Five lucky attendees will also receive a copy of Under the Dome signed by Stephen King. 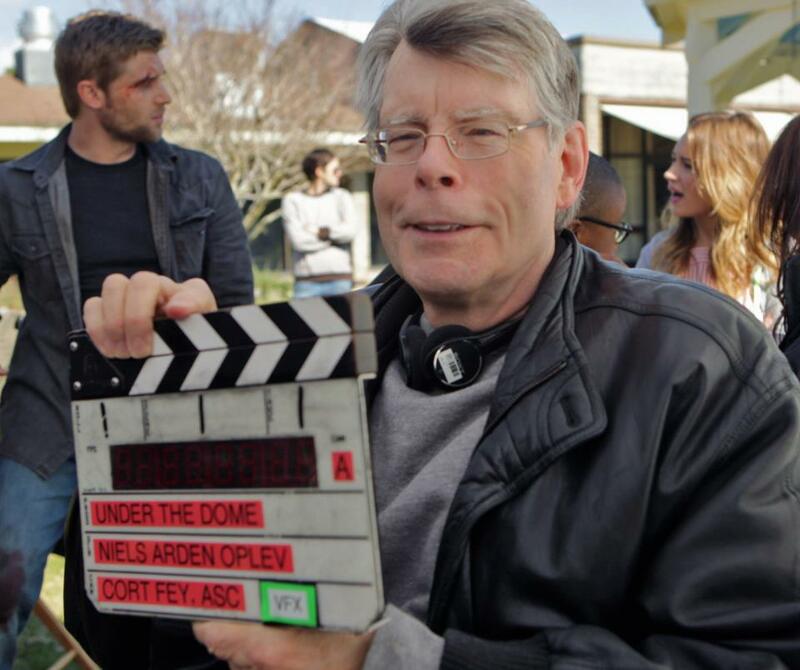 The television adaptation of Under the Dome begins shooting its pilot episode this week and according to StephenKing.com the author will be on set for the preliminary shooting. The director of the pilot episode is Niels Arden Oplev, the Danish director who helmed the original adaptation of The Girl with the Dragon Tattoo in 2009.